brushes with natural bristlesmost any type of comb you could possibly need. 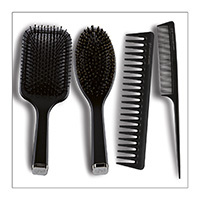 Developed with the best professional stylistsghd brushes and combs help define your style flawlessly. • DRESSING KIT hairstyles for detailedthe cotonature and tweaks.